Politically Driven Lyrics & Fast Paced Riffs! 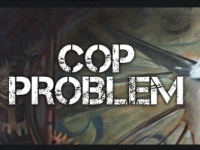 Cop Problem is a very new band formed in South Philadelphia. While their name my evoke certain connotations and preconceived notions, this band is more about keeping the peace than you would imagine. Their name refers to police and armed forces being called out in arms against rallies of peace. Formed Over 30 Years Ago! Decontrol formed in 1980 as a simple 2-man band with looped drum tracks. They quickly recruited drums and guitar to complete the group. They gained quite some recognition in the Greater Philadelphia area. They also gained critical acclaim in parts of Europe. 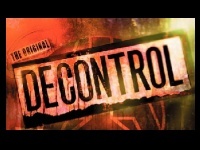 Fast forward 30 years late, and several musician changes, Decontrol still tours and puts out music! They have remastered many of their original songs from the '80s, including a 15 minute long epic "Songs from the Gut." They have played with such greats as Dead Kennedys and DOA. You can download their new 33 song CD from their website. Keep a close watch on them as their touring days are slightly limited now, but well worth it when you can catch them! Just Under 2 Years Old! 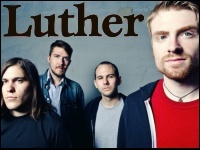 Formed with band members from Philadelphia, New Jersey, and Pennsylvania, Luther has climbed the success ladder quite fast. They are proving the Philadelphia punk rock scene is alive and thriving as their residence is in Philly within blocks of several other notable bands. They have spent the past 12 months on tour with such prominent bands as Anti-Flag and Bouncing Souls. They began touring just on the east coast but have now made it to the Midwest and the west coast. They have a very long detailed list of tour dates on their website. Make sure you catch this up and coming band next time they're back in their hometown of Philadelphia! A Fun and Lively Band! 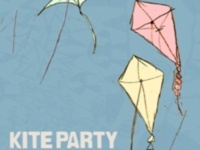 Kite Party exploded onto the Philadelphia punk rock scene in late 2008 and since then has continued impressing fans everywhere. The band likes to joke around a lot, in interviews, on stage, on blogs, they are a funny group. Don't let the humor get your guard down, these guys can rock! They currently have out 2 greatly received albums titled "Baseball season" and "Wish Mountain." They also have a third album that is no longer available called "Hand Claps Music" but they do offer to send it to you if you ask for it! They are currently touring all over the tri-state area. Check out the list of shows on their website! Give this zany band a shot if you're looking to have fun! Female Fronted Hard Rocking Band! This up and coming rock band from Philadelphia is making a big name for themselves. Playing fairly regularly at the Legendary Hobbs, they have gained quite some recognition amongst the community. They currently have 3 videos available for free on their website. Currently they only have 1 album out, but came in 4th out of 12,000 in the "Your Next Record with Slash" contest, ending with a buzz factor of 99.82! The home page of their website lists the next upcoming show and where it's at. If you want to see their whole list of shows, check out their Facebook page! 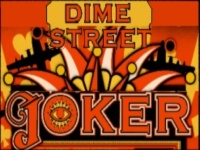 Dime Street Joker is definitely a band you'll want to see now while they're up and coming!